Many cities and counties in this country now have laws disallowing you from chaining or tethering your dog outside in your yard. So what do you do when your pet needs to spend time outdoors and you don’t have a fence on your property? Talk to us about purchasing our Pet Stop® Outdoor Pet Containment System, an invisible pet fence that keeps your dog or cat safe, while still allowing him to exercise in the sunlight and fresh air in his own environment. Invisible fencing contains your pet in the designated area, keeping him from getting into any toxic plants or chemical poisons and saving him from running into the street where he can be hit by a car. Fido won’t be able to shed hair in your pool or hot tub unless you allow him to swim or play in these areas. Additionally, unlike traditional fencing, he can’t dig his way out of your yard or jump over the fence to escape. Because all of our technology is hidden from view, you can preserve the beauty of your expensive landscaping. And for those pet parents who live in the country or have a lot of acreage, our invisible fencing is less expensive than traditional fencing that can cost as much as $25 per linear foot. So, not only do we protect your furry companion from harm, we save you money! For a free in-home estimate of our Pet Stop® Outdoor Pet Containment System, call us at 714-878-2696, or send us your questions and contact information on our Contact Us page and we will answer your questions in a timely manner. The Epica dog training collar allows you to go out with your dogs without having to use a leash . 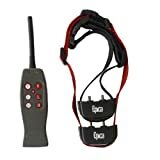 When he misbehaves, you simply press a button on the remote which sends a signal to the receiver collar, delivering a harmless static stimulation to your dog. It quickly teaches him to associate the annoying sensation with the prohibited behavior. Are there any dog parks in Round Rock or Pflugerville TX? (Closer than the ones in Austin?)? Question by allnamesgon: Are there any dog parks in Round Rock or Pflugerville TX? (Closer than the ones in Austin?)? I live in Pflugerville and take my dogs to several of the parks in Austin and I’m just wondering if there are any closer options. Even if it’s not an official “dog park” are there any places around where I can take my dogs off leash to get some good exersize? Have you checked out what activities the folks at Triple Crown (in Hutto) have to offer? Its not a dog park, but it is a place where you and your dog could get to do many different ‘fun things’ together. www.veria.com Show your pet some love with a delicious treat. In Video from Veria Living About Dogs, Jeff takes a look at some healthy treats your dogs are sure to love. Our gorgeous shiny new puppy Daphne. Hasn’t quite got the grasp of what’s real, and what’s a toy. Bless…. My silly Yorkie does this after every bath. She keeps us entertained…that’s for sure! From bad dog to best friend, Dakota’s story is a must for anyone with a problem dog. From pottying all over the house, chewing and destruction, Dakota was transformed into a dog who could be trusted with full run of the house all day.